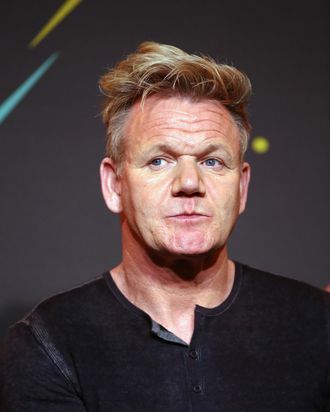 There’s something satisfying about watching a chef tear down Gordon Ramsay — it’s a lot like seeing three Trumps fail at math, or Pharma Bro’s punchable grin dissolve in court. In fact, because the internet loves to dig up, and celebrate, archaic bits of cultural history, Ramsay-related Schadenfreude is back with a vengeance. One such moment of savagery apparently occurred back in 2009, during the “Thai Restaurants” episode of his U.K. show The F Word. Ramsay whipped up “his take” on pad Thai for some Buddhist monks, but before serving them, a chef from a top London Thai spot (the since-closed Blue Elephant) was asked to taste his spin on Thailand’s national dish.